The Valerie Plame Case: Why was Patrick Fitzgerald appointed Special Counsel? It's been documented that Deputy Secretary of State Richard Armitage was the source of the so called "leak" of Valarie Plame's identity as a CIA employee to the press. And, that the FBI and the Attorney General's office was well aware that Armitage was the "leaker" before appointing Patrick Fitzgerald "Special Counsel" to look for an answer they already knew. The lingering essential question is. 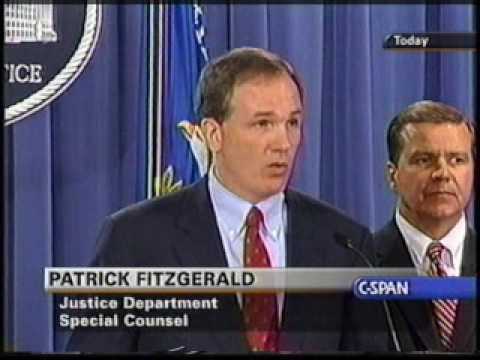 Why was Patrick Fitzgerald appointed Special Counsel? And, why would a prosecutor tell the known guilty party not to tell anyone of his confession? Isn't that the opposite of how prosecutors usually operate? In a situation like that, wouldn't the Attorney General simply determine whether Armitage broke the law or not, and either charge him with a crime or close the case? Why would the Bush administration's Attorney General appoint a Special Counsel when Richard Armitage had already confessed? Let's imagine that the whole Valerie Plame case was staged? Who would benefit from the appointment of Patrick Fitzgerald as Special Counsel in a case that was already solved? Wouldn't it be the same people who benefitted from U.S. Attorney Patrick Fitzgerald being put in charge of the 10 state investigation of ACORN that could not be avoided? An investigation that was suspiciously a dismal failure. The Democrats benefitted, with Barack Hussein Obama being the biggest benefactor. However, to be accurate, it must be said that those who benefitted the most from Patrick Fitzgerald being appointed Special Counsel and U.S. Attorney in Illinois were anyone interested in the fundamental transformation of the United States of America. And that is inclusive of Democrats, Republican's and foreigners. A case can, and will be made, that, Patrick Fitzgerald, in his role as U.S. Attorney of the Northern District of Illinois and Special Counsel in the Valerie Plame investigation, intentionally did as much, if not more, than anyone to insure that Barack Hussien Obama was elected President of the United States of America. Why was Patrick Fitzgerald appointed Special Counsel? For the same reason he was appointed U.S. Attorney. 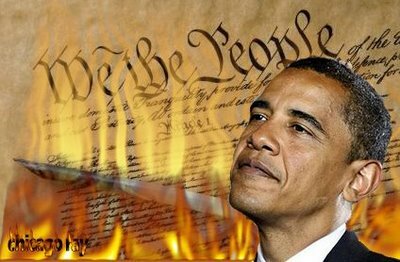 To assist in the fundamental transformation of the U.S.A.
Fitzgerald was put in charge of Obama sensitive cases to assure that those cases die on the vine, be derailed, be covered-up, or be in some way diverted. As we back up these statements with the facts, the question becomes: Will anyone in Washington DC care?